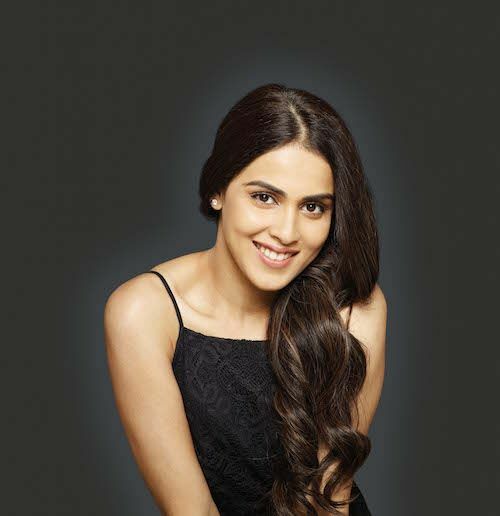 Skincare tips Genelia swears by for radiant-looking skin! Actresses love flaunting their skin, and why not! With beautiful, flawless skin like that, who wouldn't want to? Today, we feature Genelia D'souza Deshmukh, a chirpy actress who is known for her glowing skin. Here are here best ever skincare tips for every girl! When we think happy, glowing skin, the first person that comes to mind is Genelia D’Souza. Everyone’s favourite girl-next-door-turned-hot-mommy is the most adorable face on the internet these days. Everything from her pregnancy to her beautiful newborn is followed by the shutterbugs. What makes her a favourite though? Her dazzling smile and clear complexion of course. Here, Genelia shares her skincare tips to stay flawless even under the unforgiving paparazzi flashlights… in 5 easy steps. Her first skincare tip - She absolutely loves her skin to be squeaky clean and without makeup (with great skin like that, who wouldn’t?) on most days. She only uses kajal and lip balm on days she’s chillin’. The only time she calls in her makeup crew is when she’s shooting, or if she needs to make appearances on the red carpet or a special occasion. The rest of the time, she doesn’t allow cosmetic products anywhere near her skin. A regular day in the life of an actor can be quite chaotic and Genelia manages not only her schedule but also that of her child’s. Even with all the stress she takes on on a daily basis she manages to make a little time for the most handy skincare item in her bag and one of her fav skincare tips - Olay Total Effects 7 In One Anti-Ageing Day Cream SPF 15. It not only keeps her skin supple through the day, it also has the dual benefits of SPF which keep her skin protected from the sun. According to studies, the number one cause of bad skin is stress. With so much going on in our lives, we forget to take a step back and relax. Genelia does! She works out every morning and takes deep breaths every time she is stressed out. She also makes sure she appreciates the little things that bring her joy in life. The first step to good skin is being happy and this girl sure knows how to! This gorgeous actor believes it is pertinent to stick to the simple things in life - cleansing, moisturising and toning. She swears by this night time routine to wake up to bouncy, radiant and more youthful skin. Even her pregnancy did not hamper with her routine as she’d follow it everyday. No wonder she shone all through the pregnancy and after. Genelia uses Olay Total Effects 7 In One Foaming Cleanser and follows up with a toner. She finishes her routine with the Olay Total Effects 7 In One Anti-Ageing Night Cream which not only moisturises her skin but also gives her an unbelievably firmer appearance in the morning. Her last but one of the most important skincare tips- As much as it has been reiterated over and over again, drinking water can do wonders for your skin. It is easy to get caught up in the bustle of life and forget essential things like hydration but drinking at least 8 glasses of water a day is great for your skin’s health. These simple yet effective skincare tips give your skin the boost of moisture it needs and pick up that glass of water now! * This is a sponsored post for Olay Total Effects.